Being a mom is hard. And tiring. And though I love it more than life itself, there are moments in motherhood that I'm not particularly proud of. But clearly, I'm not alone. That's what today's post is all about. Mommy confessions. 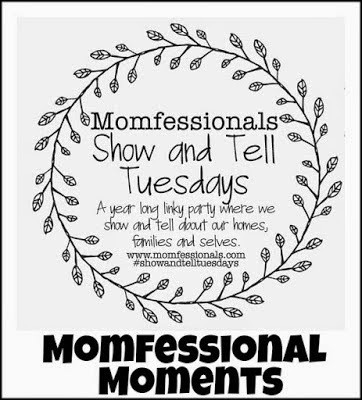 Here are some of my biggest mom-fessions. I send the boys to daycare during my days off. It took me over a year to not feel guilty about doing this, but now I realize that those days keep me sane. And they are glorious. Sadly, our daycare is going to a teacher's schedule next year, so I won't have that option, but that doesn't mean I can't take advantage for the last time on Thursday and Friday this week...and you better believe that I am!! I look forward to it every day. By 7pm, I'm exhausted and beyond ready to think about no one but myself. After the boys are down, Craig and I usually just sit--in silence--and each catch up on our social media for at least 30 minutes. I can't handle the thought of a major injury. Especially on my children. One time, Craig tricked me in the kitchen with ketchup and said he cut himself while slicing an onion. I screamed, and instead of rushing to his assistance, I ran the opposite direction. I have no idea what I will do when something major happens to one of the boys and Daddy isn't home. Instead of using naptime to do everyday chores, I selfishly use it to do the things I want to do - nap, blog, scroll through my phone. I can empty the dishwasher while the kids are awake. I'm not going to waste that precious naptime doing that! I know Capri Suns are staples in many of America's refrigerators, but not mine! I think they are an unnecessary waste of money and I have no plans to buy them for my kids. Besides, don't kids always squeeze them and make a huge mess anyway? This one is all Craig. But being the good wife that I am, I quickly jumped on board and went with it! Every time a kid whines, a birdie dies. Yep, we really do tell our child that. I know you LOVE your daycare lady...but maybe you can change and our kiddos can go together!! (?) wishful thinking I know - but that would be fun and a LOT closer ;) plus you need those mama days!! lol at the every time you whine a bird dies. Sounds legit! HAHAHA!! Every time there's whining a bird dies. I'm rolling! That is hilarious. So totally with you on hiding books and picking the short ones. Oh my gosh, by bedtime I just want to put the man to bed and call it a day. Buuuuuut, there's still the books. Oof. I love mommy confessions! I'm cracking up at these! I count down to bedtime too and also hide the really awful or long books. I think that's totally fine!